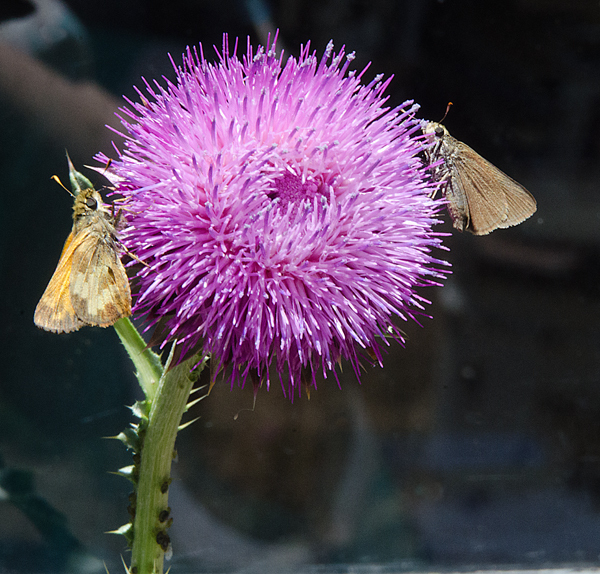 The moths, butterflies, flies and ants are eating and courting on the thistle blossoms. The hummingbirds got here too early. 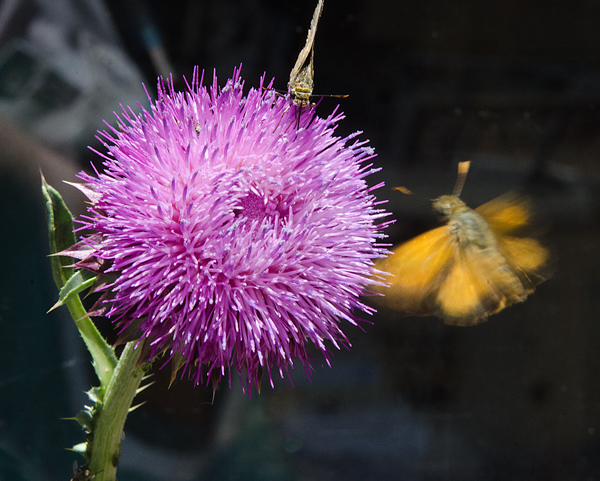 Last year we had hummingbirds eating and nesting in their embrace. In a stable, sustainable culture, one of the most amazing phenomena is the way that the thousands of life cycles mesh with each other, regulated in large part by the climate, so that the creatures are born when the food is available.